Last night my Twitter feed went crazy as the first episode of series 2 of the Great British Sewing Bee hit our TV screens here in the UK. 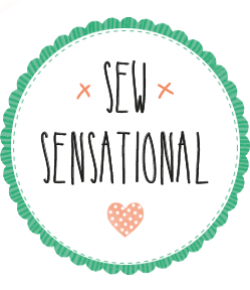 Despite achieving fairly poor ratings and reviews last year when the series premièred, the BBC have (rightly) chosen to bring the sewing contest back for the 2nd year – and 3rd year if the online call for applicants is anything to go by! In this episode, the new contestants had to make items based on three of the most common fabrics we sewists generally have in our stashes – cotton, wool and silk. This included a sleeveless top each, the customisation of a long wool skirt and the request to create a unique silk nightgown for a real-life model (who, might I add, are not ‘model proportions’ but actual real-life women). This episode seemed to spark a lot of interest in people looking to now go and make their own silk nightgowns, and why not?! So, to save you the trouble, I’ve rounded up the patterns used by some of the contestants to make their silk nightgowns. Let me know if you make one of them! Chinelo and Jenni both drafted their own nightgown patterns (incredible! ), with Jenni’s being based on the vintage Simplicity 3508 pattern, and Lynda, Heather and David moved so gosh-darn fast I couldn’t work out which patterns they were using, haha – if you spotted something I didn’t, get in touch! Oh and one more thing – looking for the cotton sleeveless top pattern? This one from Simplicity/New Look is incredibly similar! I actually made it myself too – see my GBSB challenge here. I loved this first episode and was so pleased to see everyone return for week 2, when they all might have calmed down a bit. It’ll be really interesting to see how they all progress and how different talents come to the fore. I was so inspired to have a go. Really enjoyed the first episode of the long awaited new series. I think this series will get better ratings and reviews. Although I consider myself an accomplished bag maker, I’m definitely a beginner where dressmaking is involved. Something I will begin challenging myself with, one of these days! 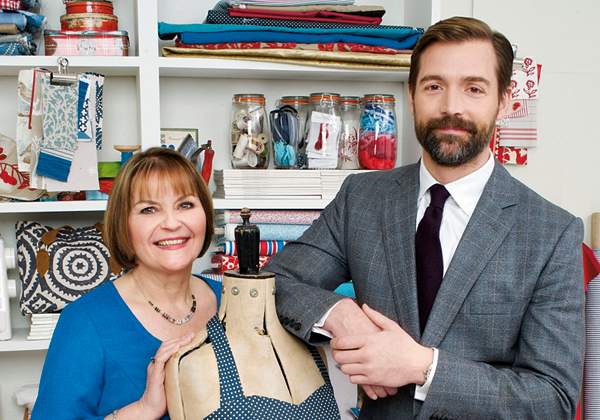 Did you see the first episode of the new Great British Sewing Bee series? I really enjoyed it and looking forward to seeing next weeks challenges. Nope, I won’t even be considering making a silk nightgown! I have used similar springy fabrics in the past and know how difficult they are. I felt very sorry for them too. Thanks for the handy links to patterns. It’s great to see the GBSB return to TV for a second season. Maybe it will inspire more lapsed sewers (like me) to get their machines out again. I have written a GBSB week one recap on Random Crafting Adventures. I included a link to this post. I hope that is OK!